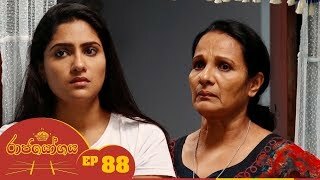 Raja Yogaya | Episode 84 Watch ITN Programmes & More Updates at http://www.itntv.lk #ITN #ITNSriLanka #RajaYogaya #Episode84 ITN ON SOCIAL Follow on Facebook : https://www.facebook.com/ITNSriLanka Follow on Twitter : https://www.twitter.com/ITNSriLanka Subscribe on YouTube: http://bit.ly/SubscribeITNSriLanka © 2018 by Independent Television Network. All rights reserved. No part of this video may be reproduced or transmitted in any form or by any means, electronic, mechanical, recording, or otherwise, without prior written permission of Independent Television Network.